Hey folks, Valkor here. And I'm clearing out the Val-Cave to make way for the new year. I can't believe 2010 is almost over, but I'm looking forward to what 2011 will bring. But the folks over at Warner Home are taking us back to the early 80's treating us to an iconic character that deserves a second look. I bring you "Thundarr The Complete Series". Earth 1994, a comet rips between the earth and the moon whirling the planet into total chaos from weather and tidal effects to geographic changes. 2,000 years later things have settled down a bit, but the planet is split into territories mostly run by evil wizards and most survivors in hiding. 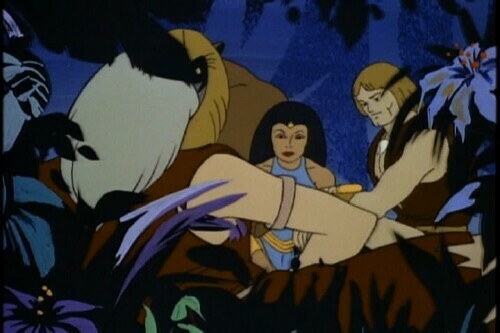 Enter Thundarr, his trusty companion Ookla, and sorceress Princess Ariel as they travel from place to place, locating human encampments and fighting off evil wizards. 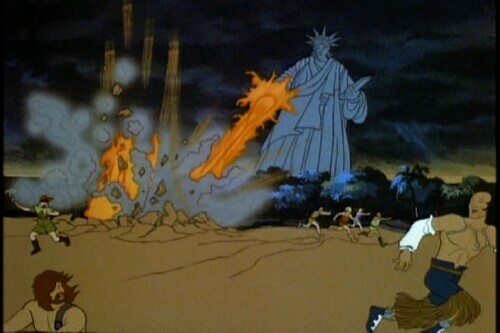 And that's pretty much the gist of it – in each episode he battles an evil wizard and saves the day. There's no special order to viewing and there's really no continuity, but that doesn't make the series less desirable. Let's take a look at a few eps shall we. Den of the Sleeping Demon – Thundarr goes in search of Judag, a former slave who wants to become a wizard by awakening another wizard that will grant him immense powers. Mindok The Mind Menace – Mindok looks to capture humans released from frozen solitude to build him a new robotic body to house his brain so that he may take over the planet. 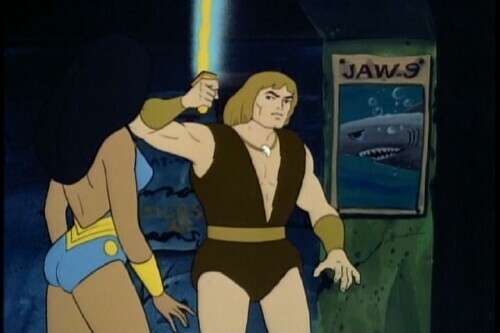 Thundarr will have his hands full with this one. 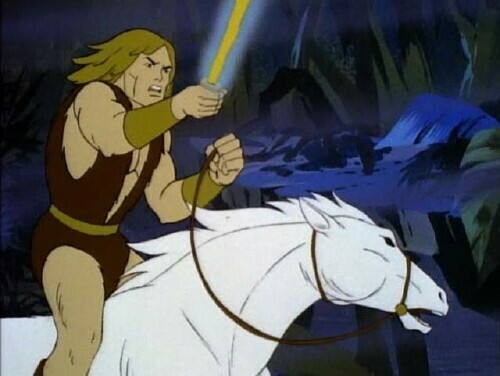 Master of the Stolen Sunsword – Thundarr's sunsword is weakened when hit by red lightning and now he must seek out the pool of power to revive it. 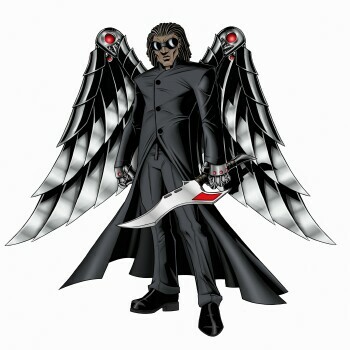 But the evil Yando stands in his path. Fortress of Fear – Princess Ariel looks to make the perfect bride for the Evil wizard Lord Argoth, when the trio assists an escaping slave. The set includes 4 discs with 21 episodes in total with no other extras. Though if you're interested in the mythos of the character, you should grab a copy of "Saturday Morning Cartoons 1980's"; there's a nice look back at the mythos of the series, why it was canceled and so forth. Worth checking out. 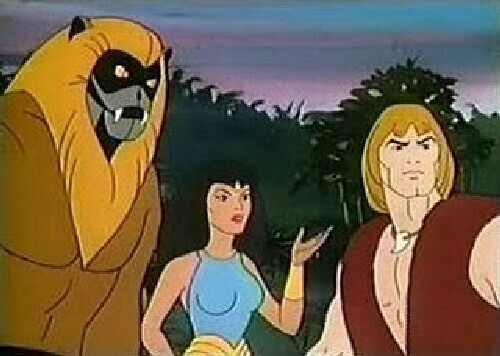 I was a big fan of Thundarr as a kid and I'm amazed at how much I've enjoyed the series today. It's simple, not overly action packed, and a lot of fun to watch. The audio and video were remastered, giving the series a much deserved polishing which looks and sounds great on high-end equipment. 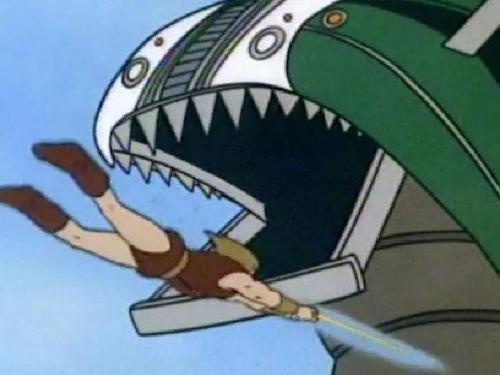 It's too bad the series was short lived, but I hope someone is looking into a reboot, plus Thundarr would make for an awesome video game. The action seems kinda sluggish. 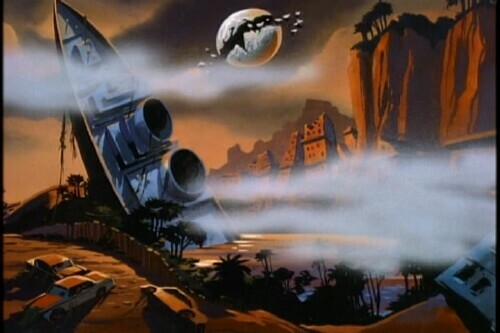 But I can't really complain, the film was done on a limited budget with a lot of recycled animation. Plus, after watching years of anime, I'm just so used to faster action. 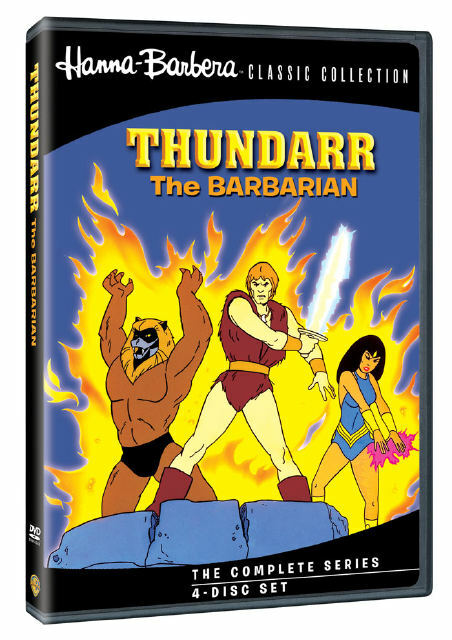 This holiday season, get some classic cartoon action with Thundarr The Complete series, which will not only appeal to fans who grew up on the series but gain some newer ones as well. I highly recommend it. And out of TOV 5 stars, I'm giving Thundarr a 4 and this set has been Valkor tested and TOV Approved!